Our product range includes a wide range of power factor control relays. We are noted manufacturer, trader and supplier of premium quality Power Factor Control Relays. Our offered control relays are manufactured using the optimum quality material and leading technology in fulfillment with the industrial norms. 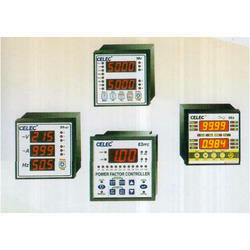 We offer our control relays in different sizes and specifications as per the varied needs of customers. In addition, these control relays are checked on numerous quality measures in order to supply a defect free range. Looking for Power Factor Control Relays ?